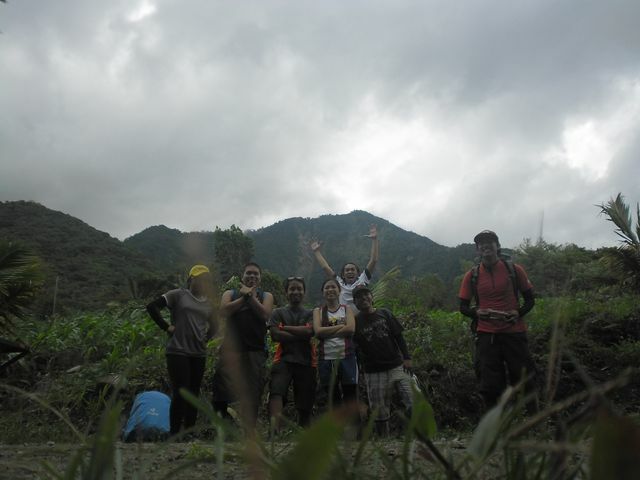 Last June 2-3 the group went to Negros City to climb Mt. Talinis. 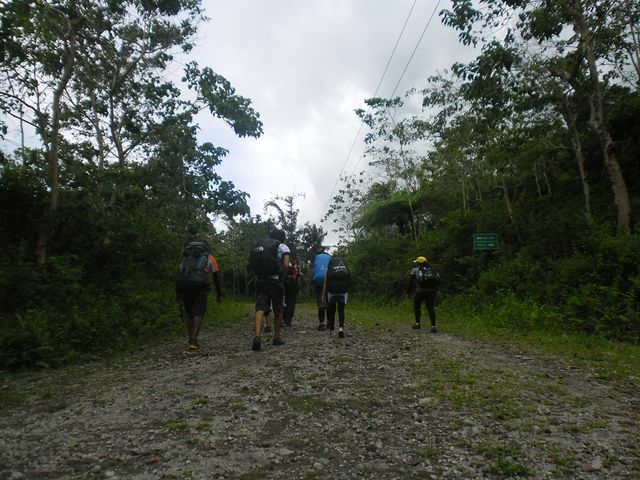 This was one of the major climb we did for this year. 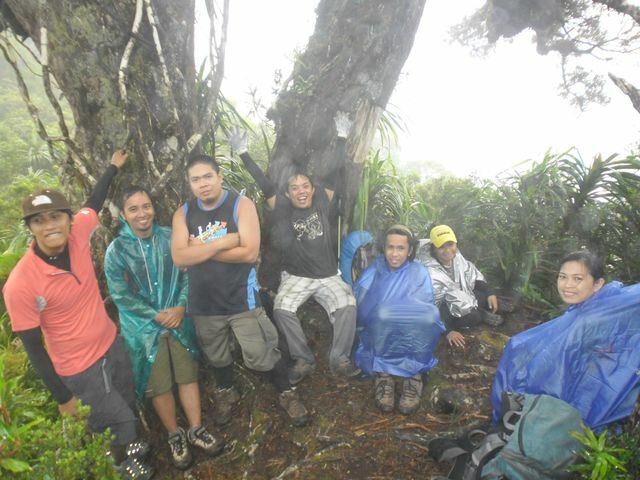 The estimated time of the walk was 8 hours assault to the peak and 9 hours going back to the city. 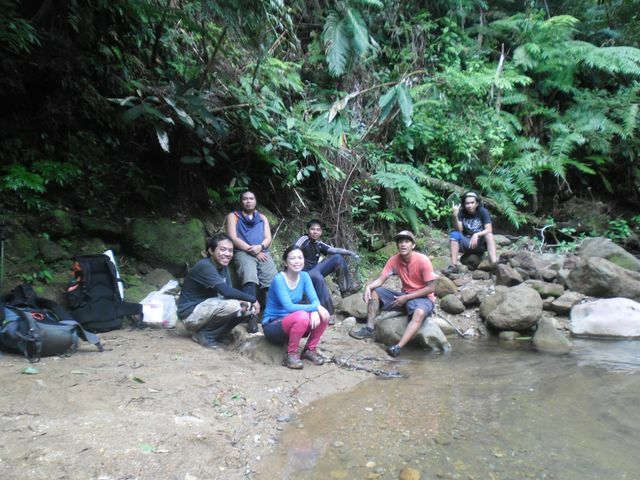 Yes, this was one of the most very tiring experience that the group ever tried. We started our day early at around 3:00 am in the morning on the saturday, June 2, 2012. 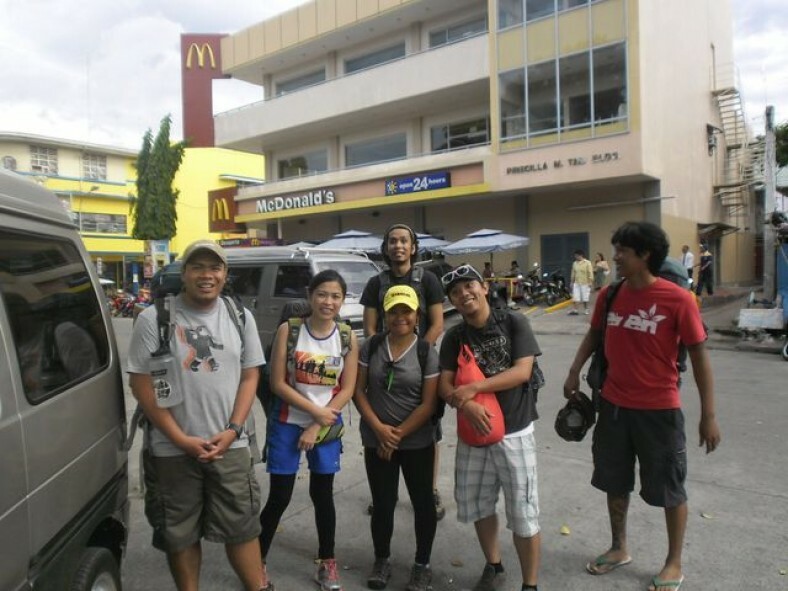 We gathered in South Bus Terminal and after everyone was present we traveled three and a half hours to reach Santander Cebu. Once reaching to Santander Cebu, we ride a fast craft to Negros City. Sorry for the blurry picture, its too bumpy to have clear shots. We were on our way to the jump of point. We took some pictures before we started walking and also we did a short prayer. This was our first break and immediately took some pictures. 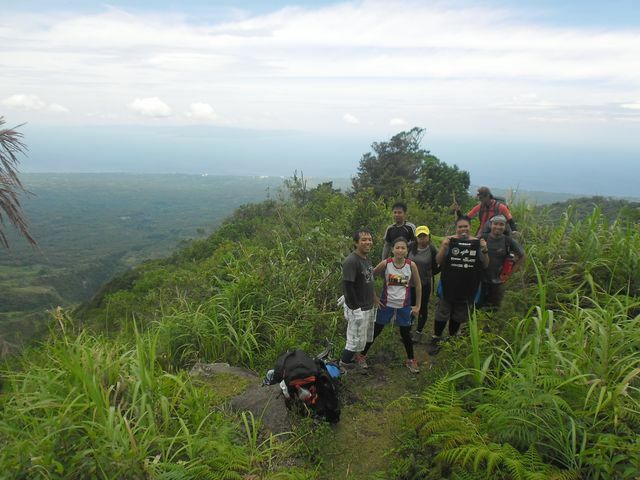 This was the 2nd stop for rest, can see the ocean and some tress with some local houses. 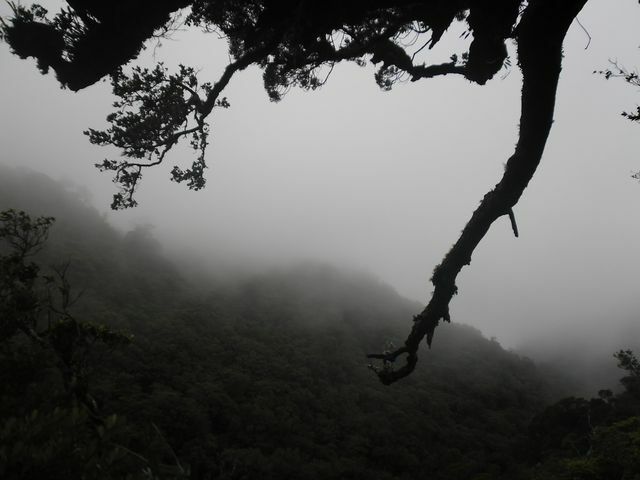 This picture shows how thick the fog and after a little rain started to fall. We already encountered a little rain along the way. 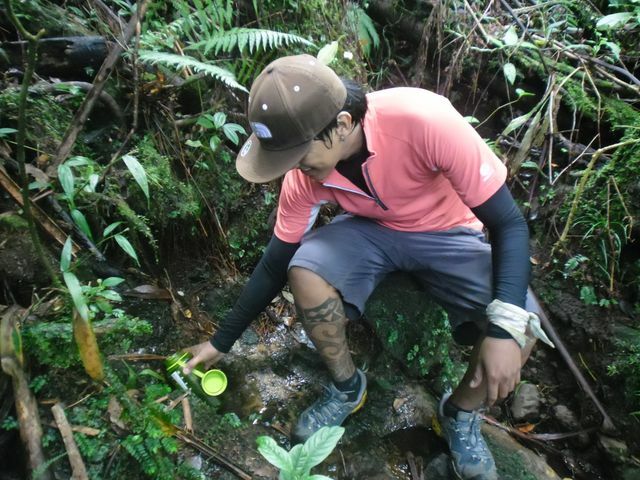 This is Yongbo, having his fake candid shot taking water from a small sprout of spring. 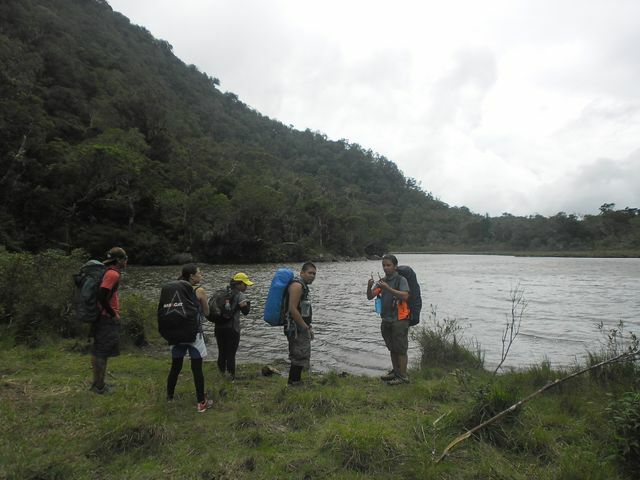 A few hours later we manage to reach the first lake “lake Yagumyum”. This also the spot on where we first camp to have lunch. 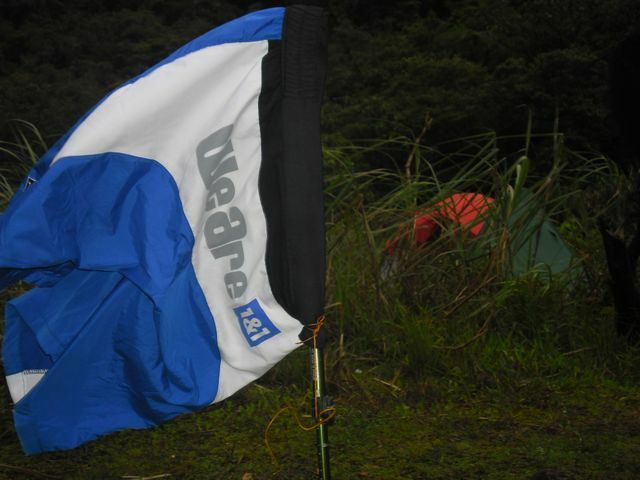 Our apologies, pictures were not taken during the night because of the bad weather, cold and very windy. It also rained all night, 2 of our team mates got sick and had fever. We arrived at the site around 6:00 pm. 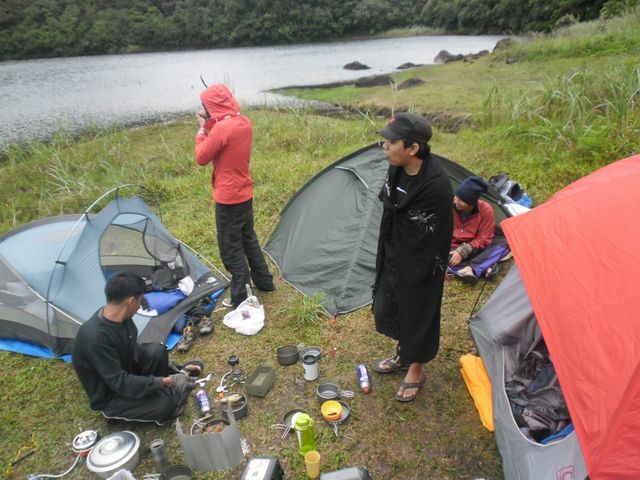 Pictures where taken in the morning already, we were preparing our breakfast and lunch. This was taken beside “lake Nailig”. 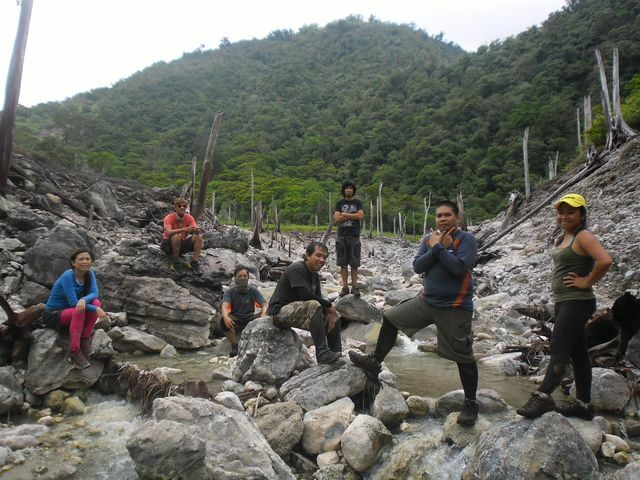 We had our group picture, starting from the left: Jun, Gege, Oding, Yongbo, Rainveill, Mai-mai and Ampao. We camped out around 9:00 am and started walking again, estimated time to reach the city, 9:00 hours. 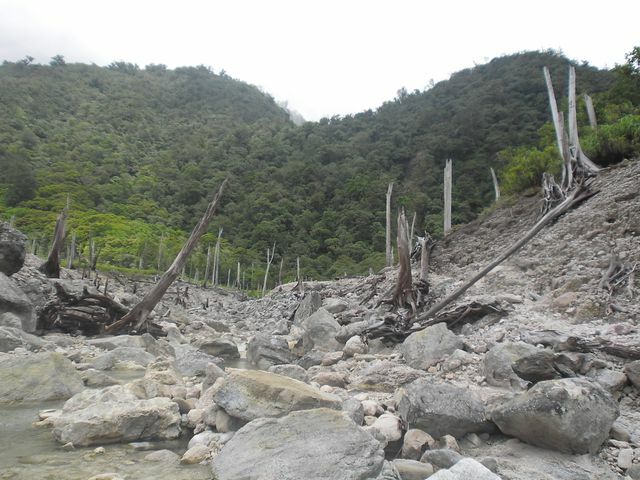 This was one of the coolest place we encountered, this is like a grave yard, full of dead trees, white rocks and bad smell. We took some pictures with the place. 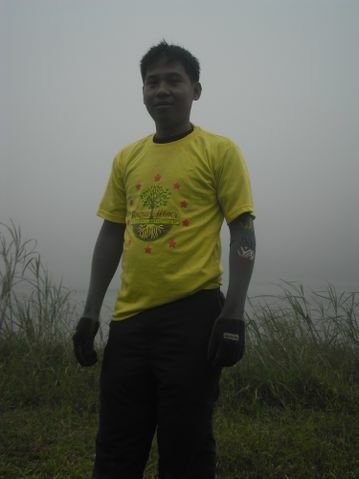 This is Adrian the Guide. No more pictures again taken along the trek because of the strong rain we encountered when we were trekking back to the city. 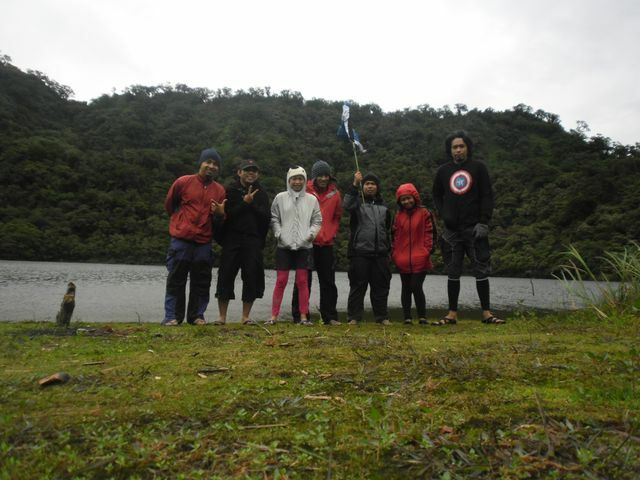 It was very cold, tiring, and some of us got injured. 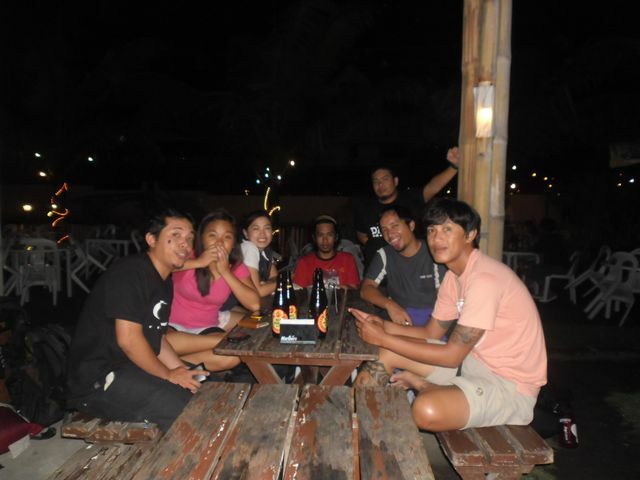 This picture was taken in Dumaguete City, a bar near the port. Had a short socials with the team while waiting for our boat at 12:00 a.m. departure. 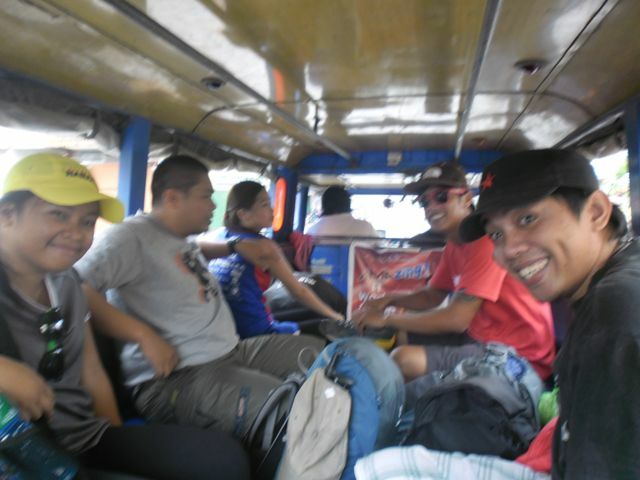 We can still remember the faces after our jeepny arrived to fetch us, injured team mates ran towards it to take a ride. Salvation! Hi, pwede pa email if pila tanan magasto to Mt. Talinis and Guide fee? 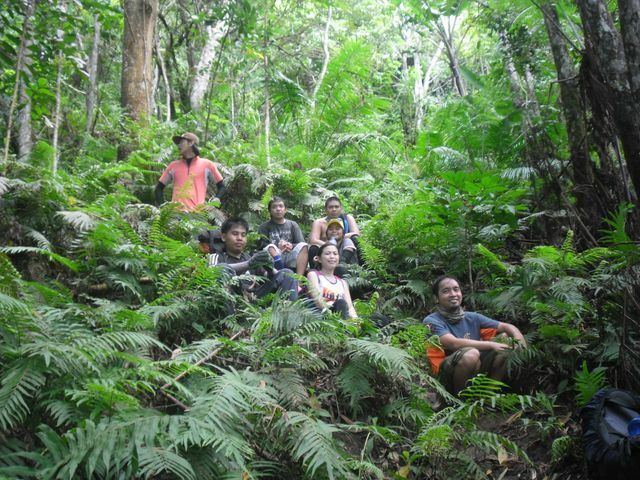 ang ila guide kay member na sa ilang Tourism? Thank you. Sorry for the late reply. Emailed you po sir. pila ang budget ninyo? asa pud makakuha og guide?